.. most of us hoarded interesting desktop wallpapers, installed desktop themes so our fonts and windows would match the background, obsessively collected goth and medieval fonts.. loaded creepy skins onto our RealPlayer or WinAmp, and collected horrific webpage backgrounds to decorate our silly Geocities, Angelfire and Tripod sites with. The "Dark Computer Goodies" links pages (dcomp.html, dcomp2.html, dcomp3.html and dcomp4.html) were the most popular, most visited pages on Dark Side of the Net after the Dark Art pages. Tons and tons of traffic, and the type of links that died often and quickly. It was embarrassing to know that literally tens of thousands of people were visiting those pages every day and finding dead links because Ezskins had changed the way their filenames ended, or AAAThemes had reorganized, or entire sites had gone missing. Darklinks.com got blacklisted from some of the anti-virus security sites because one link out of thousands (long since removed) supposedly had a virus on it. Meanwhile, onto today's "Best of the Dark Side" feature: Dark Computer Goodies. Want your desktop to look circa 1996? Download the IVWTV theme and have at it! Aah, I spent many happy hours here leeching dark goodies for my Sims game. Objects, floors, and skins with an alternative flair. I don't have time to play The Sims anymore, but I'm glad to see this site is still going - updated in September 2009. Creepy, sinister MySpace layouts you can use if you don't want to make your own. They're free. Other goodies here include background generators, plus MySpace tweaks and codes. I was always so grateful for this freeware font repository. They had cool spooky fonts, and even some skull wingdings! 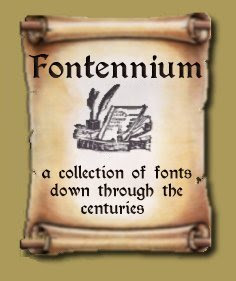 Fontennium offers historical, sci-fi, Magick, artistic, Celtic and Art Nouveau fonts. For free. Awesome! Thank you guys so much! My favorite is Golden Script. This site offers 11 pages of fantastic fonts for Halloween or horror pages. Many of them look a little 1996 and silly right now, but it's still a kick to visit here and leech a few things. We don't use screensavers much in this modern Internet age. Our computers can figure it out for themselves, and I rarely see anybody I know using one. 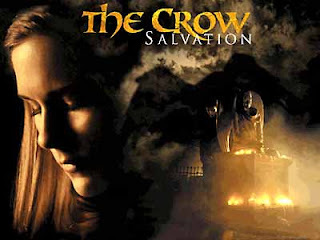 For old times' sake, here's The Crow: Salvation, an executable file (Don't install without checking first with your anti-virus software. I haven't tested this link recently). 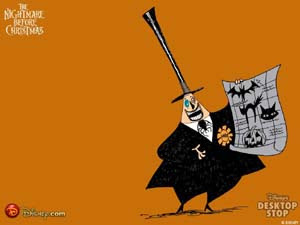 An archive of nice or cutesey goth layouts for MySpace. Twilight layouts, Dark Pinup girls, fairy layouts, and scary layouts. Decorate your desktop with nostalgic, dreamy X-files wallpapers. 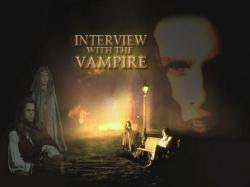 Several different choices of professionally designed desktop wallpapers featuring Kate Beckinsale. Nostalgic black-and-white "Bride of Frankenstein" wallpaper, perfect for the month of October. Buffy was such a huge trend in the 1990s, I could hardly keep up with my Buffy links. Here's an archive of Buffy and Spike fan art. Not big enough to be desktop backgrounds, but a lot of people used these to decorate their webpages, etc. If you were active on the net pre-2000, what do you remember about your screensavers, desktop backgrounds, fonts and other computer goodies you used? What was your desktop background at the time? Did you change it often? What screensaver did you use? Oh god, yes. I remember constantly switching out backgrounds, screen savers, animated cursors, system sounds, etc. My favorite cursor was a scrolling Andy Warhol's Marilyn Monroe that replaced the hourglass wait icon. Of course at one point I had HAL 9000's red camera eye as my desktop and all of the system sounds were clips from 2001 (it sang "Daisy" before shutting down - took forever each time). I'm fairly certain every computer geek of the 90s did that at some point. Haha, much like the above, I too would constantly be searching for wall paper. I clearly remember finding my first Excorsit wallpaper via Darkside of the Net, way back in 1998, sad to see the website go.